The S2200 supports Intelligent Real-time Tiering capabilities that help optimize system performance, reduce costs, and simplify management. The base software includes the ability to move data dynamically between SAS HDDs that are optimized for cost per IOPS and NL SAS HDDs that are optimized for cost per GB. With the optional software license, the S2200 supports hybrid tiering across HDDs and SSDs. The S2200 can be upgraded to the Lenovo Storage S3200 by replacing the RAID controllers in the controller enclosure during a planned offline maintenance window without the need to migrate or move data and re-configure the attached hosts. The new S3200 RAID controller recognizes the array configuration and preserves the controller's host port parameters (for example, FC WWN). The S2200 supports battery-free cache protection, which reduces maintenance costs and provides permanent backup of unwritten cache data if there is a power failure. - Low-cost, entry-level storage with a single controller or dual active/active controller configurations for high availability and performance. - Flexible host connectivity to match diverse client needs with support for 6/12 Gb SAS (SAS controller) or 1/10 Gb iSCSI or 4/8 Gb FC connectivity (FC and iSCSI controller). 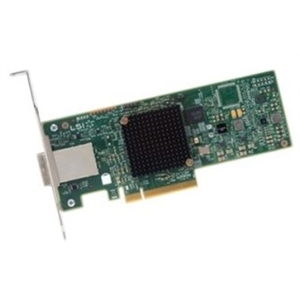 - Support for 6 Gb SAS drive-side connectivity with support for 12x 3.5-inch large form factor (LFF) or 24x 2.5-inch small form factor (SFF) drives in the controller enclosure; scalable up to 48 LFF drives per system with the attachment of Lenovo Storage E1012 expansion enclosure (12x LFF drives each) or up to 96 SFF drives per system with the attachment of Lenovo Storage E1024 expansion enclosure (24x SFF drives each) to satisfy growing needs for storage capacity and performance. - Flexibility in storing data on high-performance SAS SSDs, performance-optimized enterprise SAS HDDs, or capacity-optimized enterprise NL SAS HDDs; mixing and matching drive types and form factors within a single system to perfectly meet performance and capacity requirements for various workloads. - Support for SEDs to allow clients to secure their sensitive data and to comply with various security regulations, when required. - Rich set of standard functions available at no extra cost, including virtualized storage pools, snapshots, thin provisioning, rapid rebuild, real-time HDD tiering, and SSD read cache. - Optional licensed functions, including higher number of snapshots for more scalability, real-time SSD tiering for boosting IOPS performance, and asynchronous replication for 24x7 data protection and disaster recovery. - In-chassis upgrade to the S3200 storage system without the need to migrate data or to re-configure attached hosts. - Intuitive, web-based GUI for easy system set up and management. - Designed to comply with NEBS and MIL-STD requirements. - Designed for 99.999% availability. 3 year parts-only warranty with 9x5/next business day (NBD) terms.